Claim your free Structural Assessment and learn how an imbalance could be affecting quality of life. Different people have different needs, which are largely determined by strength imbalances and flexibility discrepancies. 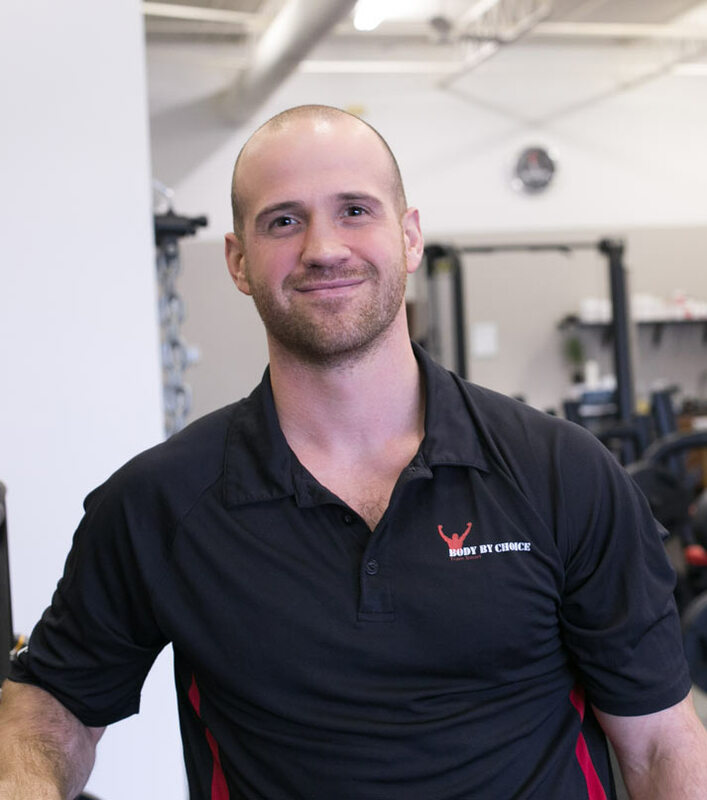 One of our expert personal trainers will meet with you in person, assess your structural balance and create a personalized plan help you live better! Let our personal trainers help you live better! YOU HAVE 168 HOURS IN YOUR WEEK. CAN SPARE JUST 1 HOUR? I’LL PROVE HOW MY POWERFUL PROGRAM WILL CHANGE YOUR LIFE. HELLO, MY NAME IS NICK KLEIN. I am the proud founder and director of Grand Rapids exclusive personal training studio, Body By Choice Training (BBCT). My team and I specialize in outcome-driven, effective methods of training, exercise, nutrition and supplementation as well as education for clients and personal trainers alike. I have leading results based in personal training to those seeking excellence. It is my individualized approach, over 30,000 hours of client training, knowledge and practical philosophies that allow my clients to transform their body, and to achieve Optimal Health naturally. I have experienced several times those that come to us with little hope, poor health, injuries, no personal belief that what we offer could ever benefit them. My personal satisfaction: watching those people thrive. As a leader and forward thinker, and with my wisdom and knowledge, I will continue to make an impact with the gift of greater health. 1. Exercise without a Plan is not optimum. 2. Exercise plans can be optimized when they are personalized. Anyone can improve. 3. Exercising that results in injury is both physically and psychologically debilitating. 4. Follow up and Accountability for results. 5. Health is a long term investment. I have traveled all over the world learning from the best strength coaches, nutritionists, and mindset consultants to really find an approach that is very individual and that would allow me to have the tools here at BBCT to work with anyone who is serious about really stepping up their results and getting in the best shape of their lives. I know that you are biochemically different from the person next to you. You need tailored information with tailored knowledge and a tailored approach. The only way to really get that is to have so many different tools in your tool belt. What we do here at BBCT is highly specialized and individualized to match people’s biochemistry at the highest level. So, if you have the will to improve, the outcome is virtually guaranteed.